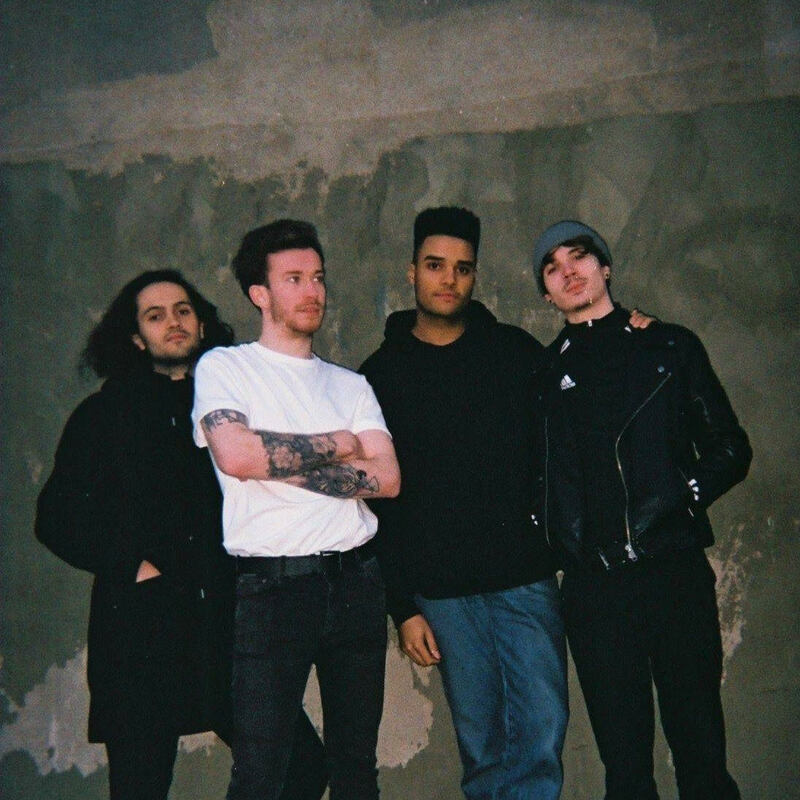 Hailing from Southeast London, Hows Harry – comprised of Loz Andrew (Drums), Rupert Colegrave (Guitars), Ike Foulkes (Vocals), and Tom Davies (Bass), has been hard at work building a reputation as a thrilling live band. The band has been crafting its unique sound from the very beginning, blending indie rock, dark pop, hip-hop, and countless other influences. This distinctive style caught the attention of fierce panda records, who signed How’s Harry after submitting to a ReverbNation Opportunity. We sat down with How’s Harry to see how life has been going since being signed. In this interview, you’ll learn what makes the band so special, who the band’s resident goofball is, and much more. Note: The following interview is guaranteed to make you hungry. Can you explain the meaning of your band name? Harry was our dog! A big lovely German Shepherd who turned up stray on Tom’s doorstep one day. The name comes from when he got into a scrap with another dog in the park and we asked “How’s Harry?” – from that moment on, the name stuck. For somebody that has never heard your music, can you explain your musical style? The only way to find that out is to give it a listen for yourselves! We don’t like to prescribe to that stuff too much. However, it’s fair to say our style is very much a hybrid one, we all listen to different music and when we bring that to the HH dinner table: that’s when it gets exciting. Has your musical style evolved over the years? How so? Our musical style has evolved alongside us as people. The music we consume helps mould the sound as we develop. I think one key thing we’ve learned is not to rush things, or “force” songs. As much as we like to sound modern and fresh, we put our hearts and souls into this music and that’s not something you can rush. Like a lovely homemade pie…you can’t rush a lovely pie. How did you get started? What brought you together as a band? Well, we all met at school and besides a love of music, and friendship, and writing, and playing, what really brought us together in those early days was a shared love of hummus. We’re really a hummus band if anything. Could you try to define each band member as a type of food with some kind of explanation? RUPERT – A punchy, zesty lemon meringue tart, with a comforting vanilla sorbet on the side. Because he packs a punch, however he’s got that sweet gooey side too. TOM – Tom’s a 2 week cured leg of lamb slow roasted with new heritage potatoes in a cast iron griddle. Why? What can we say, he’s a classy guy. LOZ – A Lasagne, with a cheeky Cumberland sausage on the side. Loz is like the lasagne in many ways, you can never go wrong with it, yet he’s got that extra something, that little unexpected piece of magic – and that’s where the mighty cumberland comes in. IKE – Chicken Nuggets with peas and smiley faces. This followed by an apple pie made by your Nan. We’re not really sure why, it just feels appropriate – but the apple pie HAS to be made by a genuine nan, you can’t steal other people’s otherwise the recipe doesn’t work. Explain the moment you learned you had been signed by fierce panda records – what was your immediate reaction? How has being signed changed your career trajectory? How did you hear about ReverbNation and our opportunities for labels and artists? Had you heard of fierce panda records before this opportunity? We were approached by ReverbNation directly to come and join the platform which was awesome! We were aware of fierce panda before we’d actually played a few shows with some of their other artists. We’d also heard good things about them through the grapevine. What has surprised you most about being signed? How important email is. Are you on email? You simply have to be these days. One year from now, what’s the biggest thing you want to have accomplished with fierce panda records? 1. So we can progress and continue to do what we love. 2. So we’re in a position to negotiate more hummus on our rider for shows. Do you have a favorite venue that you have played? This will change person-to-person: The Lending Rooms in Leeds is good, The Joiners in Southampton, Camden Assembly in London, Audio in Glasgow. There’s so many fun ones! We did an acoustic gig in a smelly gym, and we’ve rocked up for Sofar sounds and played in a Hairdressers which was great. Got a nice little trim mid set. What do you think is the biggest “it-factor” of How’s Harry? What differentiates you from other bands? With us you just get pure energy and dedication, and we can rustle you up a quiche. Who is the biggest goofball of the band, either onstage, offstage, or both? Knowing what you know now, what advice would you give yourself at the band’s beginning? Just keep going and keep writing. It’s an endurance contest in a lot of ways so don’t let your head drop. Keep doing what you love, don’t lose focus. Also don’t smoke so much and make sure you’ve got a properly good bolognese recipe, you never know when you have to whip out a short-notice, top-notch bolognese. Finally, big picture, where is How’s Harry going? We’re heading for the very top. We’re more dedicated and more determined than ever. Good luck and best wishes with creating your new and unique sounds.